Many homes are smaller these days, thanks to the rise in popularity of condominiums and single-floor housing. However, just because they are smaller doesn’t mean they have to look cramped. 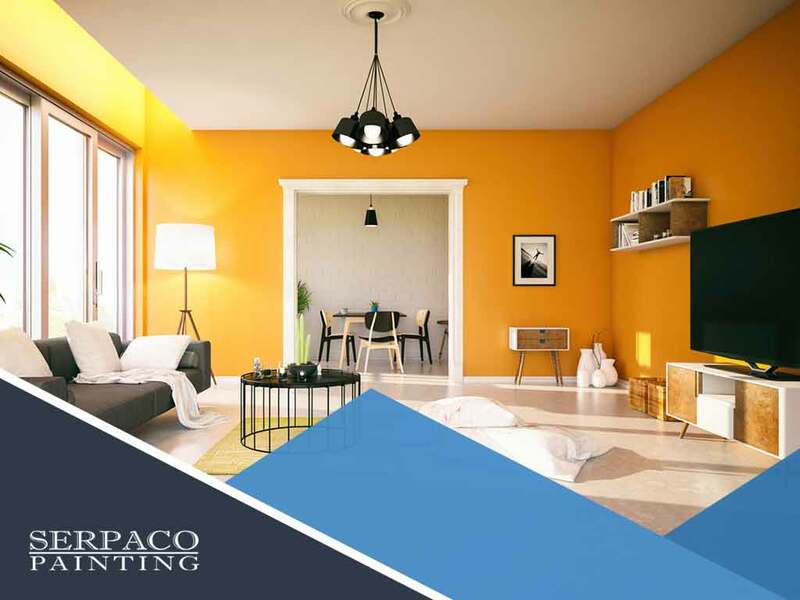 With Serpaco Painting, your trusted interior and exterior painting contractor, you can make your space look larger. Here are a few tips that you can do on your own to achieve this goal. Adding mirrors in different areas throughout your home can help with this problem. They don’t need to cover each wall, but mirrors in the right places can create an illusion of space. For example, adding one large mirror against the bathroom wall can make the room seem more spacious. The problem with dark colors is how they seem to take up space. Whether it is furniture or wallpaper, your room ends up looking cramped and claustrophobic. Pulling off interior painting with lighter hues will change that. Options like beige, white and other brighter shades make the space seem more airy. Many kitchens enjoy exposed cabinets. It’s a nice way to store food and utensils, while also making it look like there is much more space inside. However, a common mistake homeowners make is filling up every space. This has the opposite effect, making the area seem cramped. Instead, find one or two cabinets to leave free. Furniture such as dining tables take a lot of space. It can be hard to enjoy the room when these cover the area. Instead of using single-purpose items, consider getting multifunctional furniture. For example, couches can be used as makeshift beds. At Serpaco Painting, we can help you decorate your home to look more spacious. We are licensed and experienced painting, remodeling and siding contractors. Our service involves inspection and consultation. This way, you can figure out what your home needs and how you can make it look larger. Call us today at (888) 879-7377 to learn more about our services. You can also fill out our contact form for a free consultation. We serve homeowners in Raleigh, NC, and other parts of North Carolina.